Since its debut in October, Vampirina has been a big hit with Disney Junior fans. 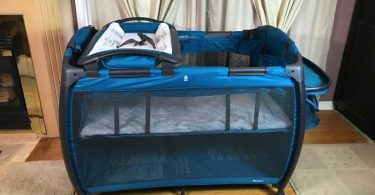 As we approach the holidays, Just Play has introduced a couple toys for little fans of the show so they can re-create some of the things they see on the show. 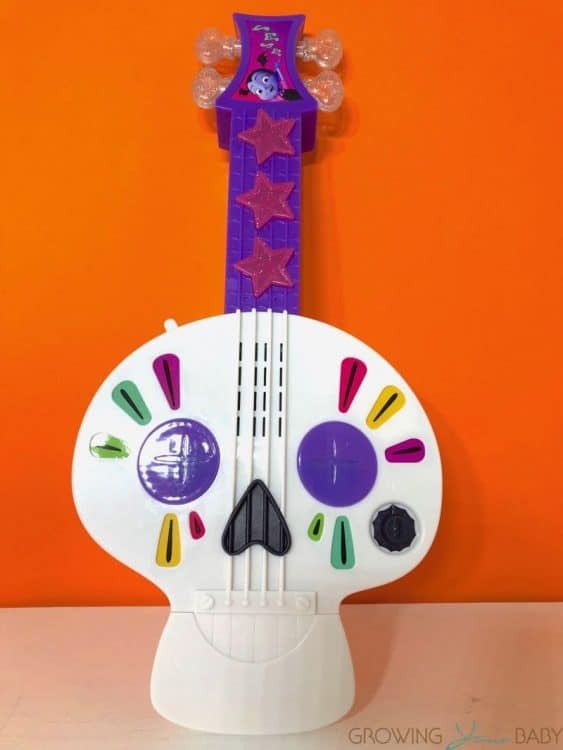 Vampirina Spooktastic Spookylele is an adorable pint-sized guitar that looks just like the one Vampirina uses when performing with her girl band – the Ghoul Girls! 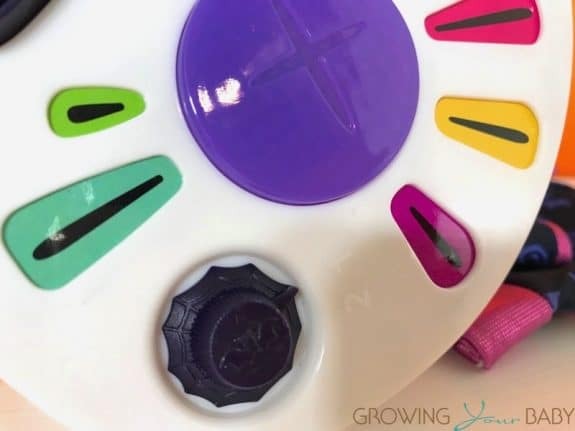 Kids can press the buttons to play with the the guitar 2 ways. In the first mode Just Play has pre-loaded some phrases and songs from the show. 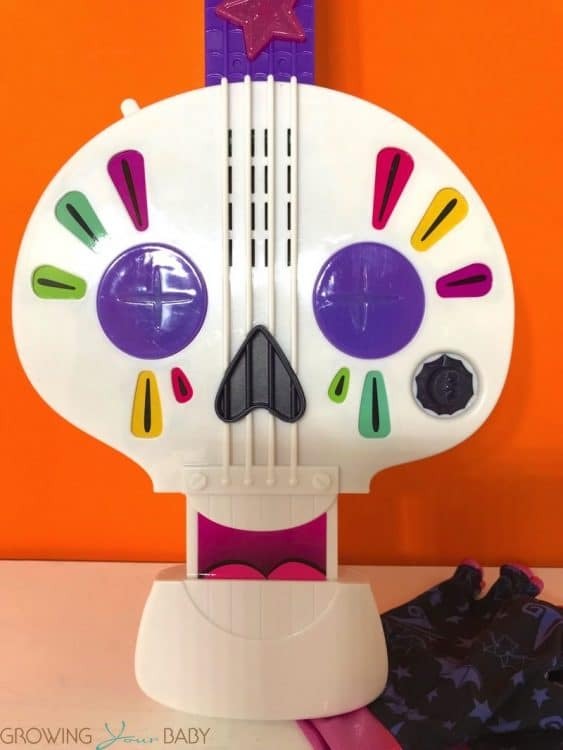 By just pressing the heart in the middle of the guitar kids can activate hear Vampirina’s theme song along with additional music, guitar riffs and whammy sounds! In the second mode kids can hear guitar riffs and whammy sounds! This allows them to be able to create their own songs. 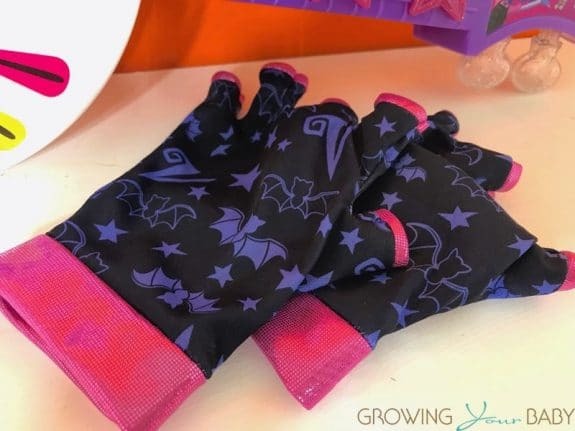 Plus, the Set even comes with a spook-tastic pair of gloves!